The thinking behind China’s maritime militia policy is becoming increasingly obsolete. Given its transboundary nature, marine fishing inevitably carries an important political and diplomatic function, particularly in waters where disputes exist. It is no secret that China, Vietnam, and other countries in the Asia-Pacific have considered fishermen important players in strengthening its maritime presence in disputed waters. They are provided with financial and political support to undertake fishing activities in the contested waters, while countries have been known to deploy fishing boats to confront each other during maritime crises. For instance, both China and Vietnam dispatched fishing vessels during the recent 981 oil rig row. In recent years, amid rising tensions in the South China Sea and East China Sea, the region has witnessed a growing number of incidents involving Chinese fishing boats. Some of these incidents have sparked tensions between China and its neighbors. 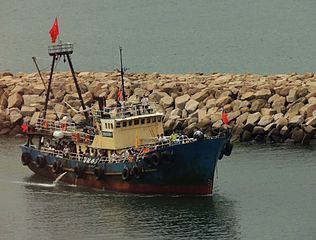 While it is an exaggeration for some commentators to conclude that China is waging a “People’s War” at sea, there is no denying that the Chinese government has taken steps to strengthen the fishing industry’s role in protecting the country’s maritime interests in the disputed waters and that developing a strong fishing fleet is being considered an integral approach to become a sea power. In 2013, Chinese President Xi Jinping, during a visit to the Tanmen fishing town of Qionghai city in Hainan province, advised the maritime militia members to “not only lead fishing activities, but also collect oceanic information and support the construction of islands and reefs.” Some Chinese scholars and security experts have argued that maritime militia should be China’s first line of defense in disputed waters, particularly in the South China Sea. In the past few years, several coastal cities in China have established fishing militia forces. While one could argue that for the purposes of safety and self-defense, fishermen would benefit from better organization and training, the concept of maritime militia needs to be reexamined in light of ongoing maritime disputes. It is true that Chinese fishing boats played an important role in the early days of the PLA Navy. And during the Sino-Vietnam Naval clash in 1974, Chinese fishermen proved to be a valuable force. Nonetheless, China’s maritime militia policy needs to be reconsidered. First, China now has one of the largest and most advanced naval fleets in the region and much stronger maritime law enforcement forces, and no longer needs maritime militia to protect its interests. Some advocates of the maritime militia policy argue that given the civilian nature of maritime militia, it could well safeguard China’s interests in disputed waters and prevent military clashes between China and its neighbors. However, growing nationalism in China and neighboring countries, which raises the stakes in these disputes, could allow one small fishing boat incident to trigger severe diplomatic and security tensions, as evidenced in the 2010 Diaoyu/Senkaku boat collision incident and the 2012 Scarborough Shoal (Huangyan Island) standoff. Second, militarizing fishermen could put their lives in danger, while politicizing the marine fishery sector could jeopardize the whole industry. As maritime disputes between China and neighboring countries intensify, Chinese fishermen are already facing growing dangers in the East China Sea and the South China Sea. Perceived as PLA proxies, Chinese fishermen are vulnerable to the actions of other countries. Maritime incidents in the South China Sea between 2002 and 2012 claimed the lives of more than 100 fishermen from Tanmen alone. Third, under the Chinese market economy, fishermen are ultimately profit seekers. This is particularly so as traditional Chinese fishermen are replaced with peasant workers from the inland provinces who have no much emotional attachment to the seas, and are simply determined to make money as quickly as possible. As fishery stocks rapidly deplete in China’s inshore waters, these fishermen are inclined to cross boundaries to fish in disputed waters or even in other countries EEZs beyond the nine-dash lines. This practice risks hijacking China’s foreign policy and undermining relations with neighboring countries. Fourth, a maritime militia could use patriotism as a cover to undertake illegal fishing activities. For instance, fishermen in China’s Tanmen were praised by Xi Jinping during his visit in 2013 for protecting China’s maritime interests in the disputed waters in South China Sea. Because their ancestors have been fishing in the South China Sea since ancient times, they refer to it as “Ancestor’s Sea.” In recent years, the rise of the giant clam handicraft industry has completely transformed this old fishing town. Over the past few years, more and more fishermen have turned from fishing to harvesting giant clams, which offer bigger profits. Similarly, in the East China Sea, as prices of red coral have skyrocketed in recent years, fishermen from Zhejiang and Fujian go after the red coral in the waters near the disputed Diaoyu/Senkaku islands. Driven by huge profits, some Chinese fishermen even travel hundreds of kilometers to waters near Japan’s Ogasawara to poach coral from the seabed. Poaching coral reefs, sea turtles and other endangered species not only contravenes international law but also Chinese domestic regulations, apart from threatening the marine ecology and jeopardizing China’s international image. The maritime militia policy thus incurs far more costs than benefits for China and the region. Given the tensions brewing in the South China Sea and the East China Sea, and in light of the intense competition for scarce fishery resources in the region, the concept of a maritime militia policy is obsolete and should be discarded. Instead, China should take the lead in establishing a multilateral fishing management framework to regulate IUU fishing, manage fishing disputes, and prevent incidents from escalating. Zhang Hongzhou is an associate research fellow from the China Programme at the Institute of Defence and Strategic Studies, S. Rajaratnam School of International Studies (RSIS), Nanyang Technological University, Singapore. The Chinese Navy is not the only threat facing U.S. vessels in the South China Sea.